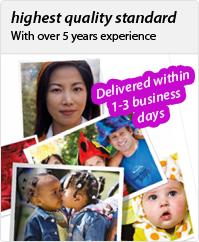 Canon PIXMA iP4500 ink cartridges and supplies. Guaranteed quality, lowest price and same day shipping! Our compatible cartridges and supplies for Canon printers are specially engineered to meet or exceed the print quality of the OEM(Original Equipment Manufacturer) cartridges. Purchasing our Canon cartridges is a great way to save money without sacrificing print quality. All our compatible Canon cartridges have one year warranty and satisfaction guarantee so you can shop with confidence and save time and money. Compatible Canon CLI-8 Ink Cartridges 15 Pack (6 Black, 3 each of Cyan Magenta Yellow). Premium quality, lowest price and same day shipping! Compatible Canon CLI-8 Ink Cartridges 5 Pack (2 Black, 1 each of Cyan Magenta Yellow). Premium quality, lowest price and same day shipping! Compatible Canon PGI-5Bk, CLI-8 Ink Cartridges 15 Pack (6 PGI-5Bk Black, 3 each of CLI-8 Cyan Magenta Yellow). Premium quality, lowest price and same day shipping! Compatible Canon PGI-5Bk, CLI-8 Ink Cartridges 5 Pack (2 PGI-5Bk Black, 1 each of CLI-8 Cyan Magenta Yellow). Premium quality, lowest price and same day shipping! Compatible Canon PGI-5Bk (PGI5Bk, PGI 5Bk) Ink Cartridge Black. Premium quality, lowest price and same day shipping! Compatible Canon CLI-8Bk (CLI8Bk, CLI 8Bk) Ink Cartridge Black. Premium quality, lowest price and same day shipping! Compatible Canon CLI-8C (CLI8C, CLI 8C) Ink Cartridge Cyan. Premium quality, lowest price and same day shipping! Compatible Canon CLI-8M (CLI8M, CLI 8M) Ink Cartridge Magenta. Premium quality, lowest price and same day shipping! Compatible Canon CLI-8Y (CLI8Y, CLI 8Y) Ink Cartridge Yellow. Premium quality, lowest price and same day shipping!